Ten days into #MyNoWriMo, each of us have had our epiphanies, our writing triumphs and challenges and multiple mini-celebrations. The best part of this initiative is that it is completely flexible. We are all working on our own WIPs, with our own targets. Sue is working on a series of short stories while I am writing a 50,000 word book that I had been procrastinating about for a year. 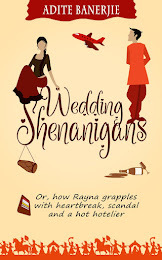 Ruchi is working on a half-finished novella while Vandana has breathed new life into her historical novel. 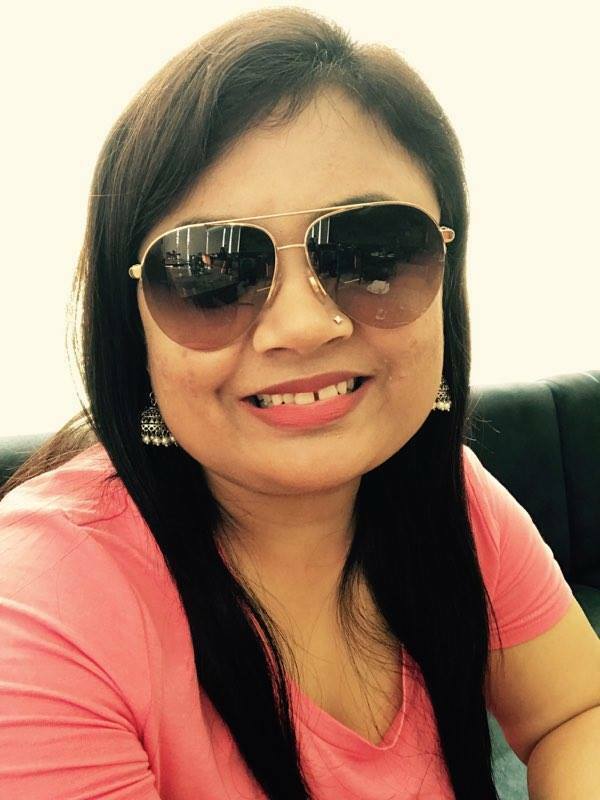 Esha Pandey, the newest member of our group -- please say hello to policewoman, mum of two and romance writer -- had a semi-finished WIP. But after she joined us on Day 5 of #MyNoWriMo she has already powered through another 6000 words and we have just celebrated the Tenth Day of our Writing Initiative. The initial excitement when we start a manuscript is something we all cherish as authors. We would all like to power through as far as we can. But initial phases are where we also experience bouts of self doubt. It can be devastating.Thanks to #MyNoWriMo and more importantly, the buddy support, this phase doesn't seem as daunting. Only an author can understand what another author goes through (that includes cheering each milestone, celebrating it together, supporting each other during down time, giving the much needed nudge). As we all understand it is a sprint, the discipline of writing daily matters. (Whether it is a couple of hundred words or 2000 words). It makes a difference when we declare our daily word counts. Somewhere we feel encouraged to push our selves a bit more. During the first week, I reached a day-high of 2000+ words. Including two low output days (<600 words), the total output in ten days has been 10,000 words and it feels exhilarating to have conquered the initial fears. As far as learning goes, writing daily, challenging our own best and plotting beforehand are the keys. I joined #MyNoWriMo a day late (May 2nd). My current word count is just over 10,000. I started my writing with a vague outline chalked out, but now I can see every minor detail in the plot. A daily writing habit and having daily motivation from my hardworking writer friends has kept me going. Much as I love being a part of the group, I have been the one on the sidelines. I joined #MyNoWriMo on May 2, with a lot of excitement. From the vantage point of April, May had looked free and easy. Just right to write!. Alas, the day job crashed the dream and I have been struggling. There were times when I felt like opting out. But 10 days down, I have hung on. Thanks to the awesome ladies of the group for driving me on. Want to reach the mark of 20K by this weekend. With over 17K today, it looks quite achievable. Touchwood! All in all, despite the pressure, it has been wonderful to be a part #mynowrimo. I started with a manuscript of 12K, a historical set in India at the turn of the twentieth century. The manuscript had hit a block and I did not know where I was going. With the push from #mynowrimo fellow writers - it has surged ahead and it feels good to be productive once again. I can see the story, the characters, and their evolution. Isn't that the job half done? I am being a little realistic about the goals now but I hope by the end of the month, story would be at its last stage if not finished. I love being a part of the #MyNoWriMo circle of writers. We're a rather international lot, writing about various topics and in different genres - and yet we have one thing in common: We motivate each other. We try our hardest to get words onto paper every day, we celebrate even small progress, and sometimes we bare our writerly hearts on a platter. Banter in between keeps the mood light and the muse entertained. It's been one week now, and we've all come far. I wrote around 10,000 words and I'm very happy with that. Can't wait to see what the second week brings us. I joined #MyNoWriMo on the fifth day and I am proud to say that I have accomplished about 6k words. It's a big deal for me as I have very busy days. I am really happy with all the support that I am getting from my fellow authors who are seniors in the business. I hope to finish my novel by the end of the month. Here's to more and more words on pages. The week flew by in happy anticipation of completing my long forgotten MS-in-progress. I wrote about 3500 words and all the scenes are now clear and written down. #MyNoWriMo team rocked Twitter the whole week giving me much needed motivation and support to complete the outline of the said MS. Now I see myself completing the novella this month. Cheers!! 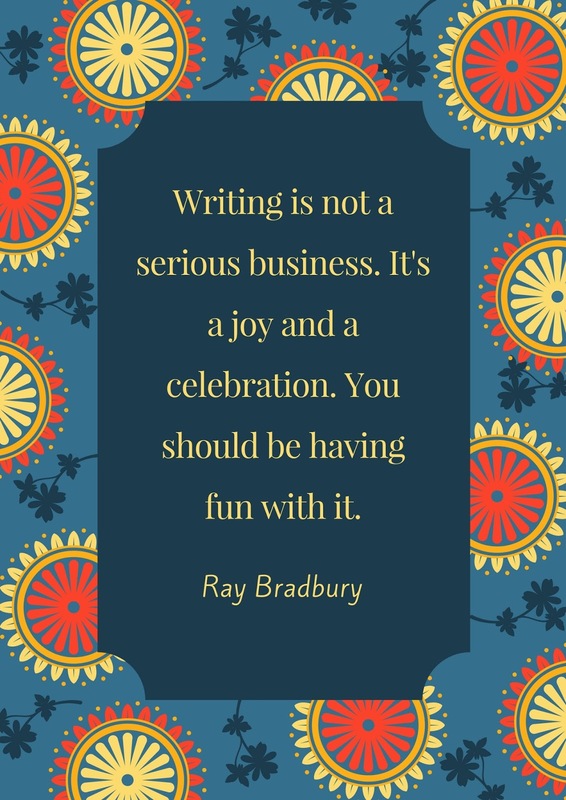 Sometimes in our effort to achieve our writing goals, we forget the real reason we write--because it brings us so much joy! Our fears and anxieties with a double dose helping of procrastination often ruin the pleasures of writing. The mini-celebrations at achieving small goals, the competitive spirit and the fact that we inspire each other have all helped in bringing back the joy of writing for me. This article has each minor insight about inversing in any land property. Since it's exceptionally hard to pick the best property and even it's hard as well and get smartwritingservice from us. So I'm charmed for having myself here on the grounds that with this article I can mange myself to put resources into a best property.